There’s a lot that goes into wedding planning, but few things are as important as choosing the right band. Select the wrong one and your guests won’t so much as stand. Choose the right one and your dance floor will quickly become a hit. Choosing a band is something that few people have ever done before, but is surprisingly challenging. Not only do you have to think about how the band sounds, but you also need to consider their stage presence, fees, and versatility. With that being said, we’ve developed a list of some of the top things you must do in order to find the perfect band. 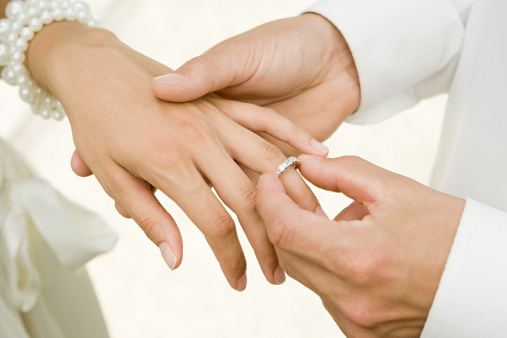 The cost for a wedding band can range drastically depending on the band, the date, and the location. According to CostHelper, the average cost for a four-hour performance from a five-member band is right around $2,085. For a smaller band of four, that number drops to right around $1,150. But these are just averages. It’s possible to spend close to $5,000 for a premium band or as little as a few hundred dollars for a band that’s just starting out. With so much wiggle room in pricing, it’s important that you set a firm budget and get quotes from a handful of bands. This will show you which bands are possibilities and which ones aren’t. There’s no sense in finding a band you like and then realizing that they cost more than you can afford. The internet is one of your most powerful resources for finding and vetting wedding bands. You can conduct simple Google searches for bands in your area or check out websites that list and rank options. Once you find these bands, contact them and ask for a list of their upcoming performances. Should they be open to the public, you can check them out in person to see what you think. Otherwise, look for a video recording of a past performance. Another common approach to finding a wedding band is to ask friends for referrals. While you have to take what anyone else says with a grain of salt, this is a good way to discover new options. Also, always listen to the band yourself before making a decision. Don’t assume that any band can play any song or style of music. You need to inquire about the genres of music a band plays prior to entering into a contract. The best thing you can do is start the search for a wedding band early in the process. Not only do good bands get booked months in advance, but you also need the ability to sift through your options without feeling stressed or pressured. Eventually, you’ll find a band that meets your criteria, fits your budget, and is perfect for your big day!